Sending out mass emails is a good way to keep everyone on the same page when it comes to upcoming events, such as a baby shower. A baby shower email template can range from a save-the-date, to reminder messages, to important announcements, to thank yous and how-do-you-dos! 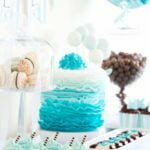 A baby shower email template should be short and straight to the point, and easy to edit if revisions are found to be needed. If you need some sample templates, here is a few that I threw together to give you a good idea on what is needed. 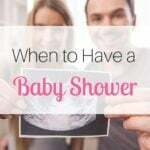 Keep in mind that when you are creating a baby shower email template, any template that you create should contain the important information: Date, time, and venue. Hip hip hooray! Jessica Grace has a baby on the way! So mark your calendars to save the date, we would love for you to participate! Please be on the lookout for the official invitation in your mailbox, which should be arriving in a month or so. As you are aware, Jessica Grace’s baby shower is coming fast! In just a short week, we will be gathered together to celebrate the impending arrival of her little bundle of joy. Please remember that this is an adult-only baby shower. If you have children and cannot find a caregiver, my thoughtful sister, Alaina, has volunteered to host a playdate for the kids at Stumpy Park and asks that you pack snacks and a drink–she’ll take care of the rest! If you have any questions, I’d be happy to answer! Simply respond to this email. Please mark your calendars accordingly and we look forward to seeing you all there! Jessica Grace has asked that I send an email thanking each and every one of you for attending her shower a couple of weeks ago. While she was working on sending out her thank you notes, baby Evelyn has decided to come a little earlier than expected (but not too early)! She asks that you send your thoughts and prayers for a safe delivery and a healthy birth, and will finish up her thank you notes along with birth announcements as soon as she recovers. These are all just examples on how to write an email. 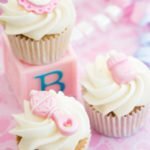 Any baby shower email template you decide to write will depend on your individual circumstances; however, if there is one here that you find useful, feel free, by all means!